I am a harpsichordist, currently studying at the Royal Conservatoire in Den Haag. Since I started learning the Alexander Technique ( with Wendelien Verbeek-de Jongh , one year ago) I feel so much better about my performance, not only in music but in my entire life as well. The simple but powerful principle of “stopping doing the wrong thing” not only has physical implications, but it is also influencing the way we go through life. In my case, the Alexander Technique helped me realize that the cause of the heavy shoulder pain I had constantly for more than one year was not only the excess of practising and stress, but a distorted perception of what I thought was to be a musician- study lots of hours, no matter what. And when I stopped “practising”- let’s say, the way I thought it was- I could start to practise, i.e. to approach music in a new way: perhaps less hours, but with much more quality and awareness, and enjoyment! “The subtlety, ease and efficiency with which the Alexander Technique re-educates the body is uniquely energizing! The bodily freedom that this training releases, in stillness and in action, from singing to stage-fighting, has been one of the most valuable lessons that RADA has taught me”. 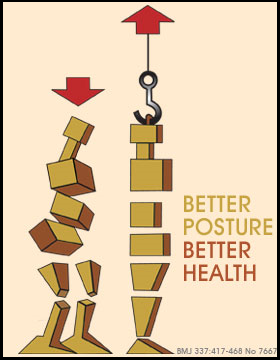 I took weekly Alexander Technique lessons from Wendelien for several months and saw a significant and lasting improvement in my posture and level of comfort, at work and throughout my day. The lessons helped to get rid of some minor back pain completely, and I’ve also noticed a reduction in headaches, neck pain, and fatigue. Wendelien is a great teacher (whether in English or in Dutch): the atmosphere in the lessons was always upbeat and relaxed, and she tailored them to my needs and activities. I still use the AT active rest technique almost daily, and the benefits to my state of mind and productivity are substantial. I hope to return for more lessons some time in the future, but meanwhile, it’s clear that I’m still reaping the rewards of my first series. “For over 12 years now I have suffered from back pain – consulting doctors, physios, chiropractors, accupuncturists, osteopaths etc at a great cost of time and money but to no avail. For just over 6 months I have been practising the Alexander Technique with Wendelien and within 3 weeks I immediately started feeling the benefit. I realised that for so long I had actively been attempting to correct my posture….. without even knowing what good posture is! In 2005 I had a hernia (slipped disc) operation. I did realize that I had to learn use my self/body in a better way to avoid repetition of this problem. A friend told me about the Alexander Technique and I now have had more than 8 months lessons with Wendelien Verbeek and see and feel the improvements this has made. I am now perfectly able to sense when I use too much muscle tension that tends to create the pain, and because of improved posture and a better balance of my head on top of my neck/spine I have no more headaches which plagued me for years. The Alexander Technique has made an invaluable contribution to my health and wellbeing.